15 Easy and Adorable Fish Crafts To Make With Kids + $50 Amazon Gift Card Giveaway! June is National Zoo and Aquarium Month and for fun + to celebrate, I’ve put together a roundup of fun summer fish crafts to make with kids. 2. Paper Roll Fish Recycling Craft via The Craft Train – This adorable fish craft uses upcycled cardboard tubes from a toilet paper .. so creative! 3. Water Bottle Fish Craft via Meaningful Mama – Who would have known you could turn plain plastic water bottles into colorful fish crafts? 5. Tropical Seashell Fish Craft via Crafts By Amanda – Turn those seashells you’ve collected from your family beach trips into colorfully-painted tropical seashells that you can add to your summer decor! 7. Kid Friendly DIY Craft Stick Fish via Live Craft Love – My boys had fun every time we made these fish stick crafts when they were little! 8. Foil Fish Craft: Ocean Theme for Preschool via Nurture Store – I love this “Under the Sea” fish art using card, foil, markers, oil pastels or acrylic paints. 14. Sparkle Fish Craft via Craftulate – If your kids love sequins and sparkly things, they’ll love this easy sequined paper fish craft! 15. Paper Doily Fish Valentines via Glued to My Crafts Blog – Find some summer-colored paper doilies and make these fish craft project this summer with your kids! 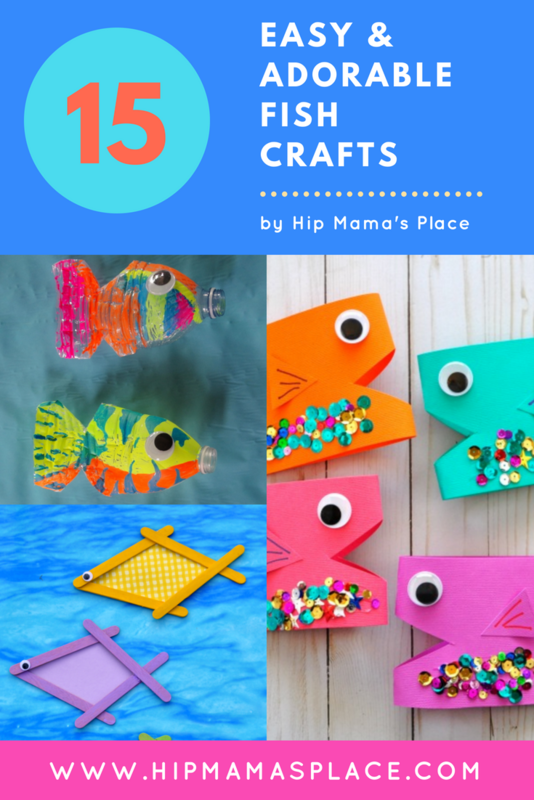 Well, I hope I had your interest piqued with these fun, easy and adorable fish craft projects to make with your little ones this summer! What did you think about these projects? What’s your favorite summer activities that you love doing with your kids? Please share with me in the comments! For added fun and as part of celebrating National Zoo and Aquarium Day, I’m giving away a $50 Amazon gift card to help you gather some supplies for you and your kids’ craft projects this summer! « $250 May Flowers Cash Giveaway! I love to take my kids fishing at the lake. Oh my goodness what adorable fishy crafts, I just love them! We are huge on camping & always bring crafts for the kids to do! I will put these on my list for sure! Thank you! We love so much about summertime. Mostly we love to go fishing- being out on the lake under the sun! We love to hike. Finding new trails and getting awesome photographs of nature at its best. We also love to take road trips! I. The summer we like to go on camping trips and nature hikes. fishing is pretty big here. I like to take the kids out with a little pole and go carp fishing here or fishing for bass is fun because they like to shake things up. We also love to go swimming. So I would say anything with water and the family is what we love to do! We enjoy going to the beach and the park. We will also be going on some road trips. Fish crafts look like fun. I am not creatively or artistically inclined but I love to play board games or card games with my sons. One thing I enjoy doing with my kids during the summer is taking them to the beach. I also enjoy taking my kids to the amusement parks. I like the Tropical Seashell Fish Craft listed in the article. I love to go to the beach with my family, as well as theme parks and festivals. I like the Tropical Seashell Fish Craft. The grandchildren will love decorating their seashells they collect on our vacation to the beach. My favorite summer activity to do with my kids is to go fishing. We always have a blast and always talk about all the things we saw while fishing. I enjoy taking my kids to the park in the summer. I also like taking them to fair as they love the animals, games and food! My favorite thing to do in the summer is taking my grandson on nature walks. We spend lots of time outdoors but on rainy days we do crafts. We are making Father’s Day cards now. 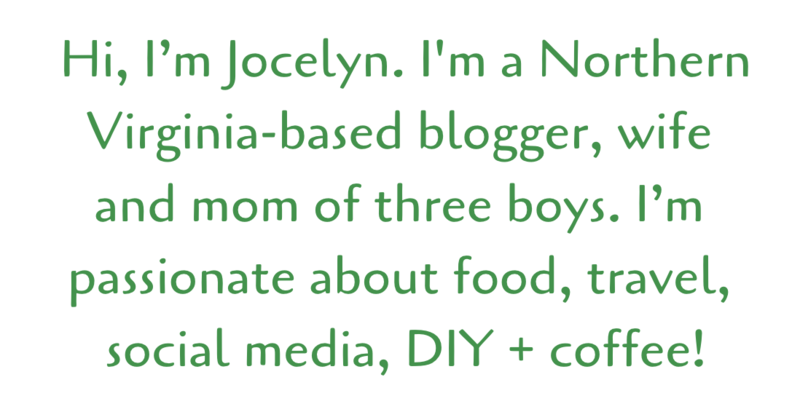 I’m not a crafty person – so I let the creativity come from the kids. We love drawing on the driveway with chalk – such a big canvas! The crafts are super cute, my kids would definitely love doing these. I like taking the kids to the water park in the summer time. We like going to the zoo too when it’s not too hot. We love to swim in our pool and keep cool. Next week we are vacationing at the beach it will be a blast. We love taking the kids on day trips like the park, water parks, play centers, zoos etc. These cute little crafts would be perfect on rainy days or when Daddy’s working. I like to go hiking, and have campfires with them. I also like to take them swimming. They love roasting hot dogs. I like to camp out and take the kids swimming. We do a lot of painting, finger painting and paper crafting! And in the summer a lot of painted rocks for kindness rocks project. My son and I love to swim during the summer. I think we will try a few of your fish crafts, they look like fun!!! I love to take my kids to the beach or the cottage. We love to camp and swim. I have been doing this since I was a kid. We love concerts and baseball games during the summer! These are all adorable ideas! I love the Colorful Pasta Fish Craft from I Heart Crafty Things, the kids like playing with pasta shapes, and this would be a cute way to use them for a rainy day activity! We are babysitting our grandson this summer and I know he would love working on some of your fish projects. He would, especially, like decorating rocks. rainbow fish was a favorite book at home when kids were younger 🙂 so that craft caught my eye first..
My girls are in their early 20’s but we like to go yard sales. We also like to go for walks as a family. Your fish ideas are super cute! I love crafting with my kids and we also play lots of games. They enjoy both video games and board games. My grandpa took me camping for weeks at a time when I was little. That was my favorite thing to do by far. I still love camping and sharing that with my own kids! I love the fish. I love the fish crafts! 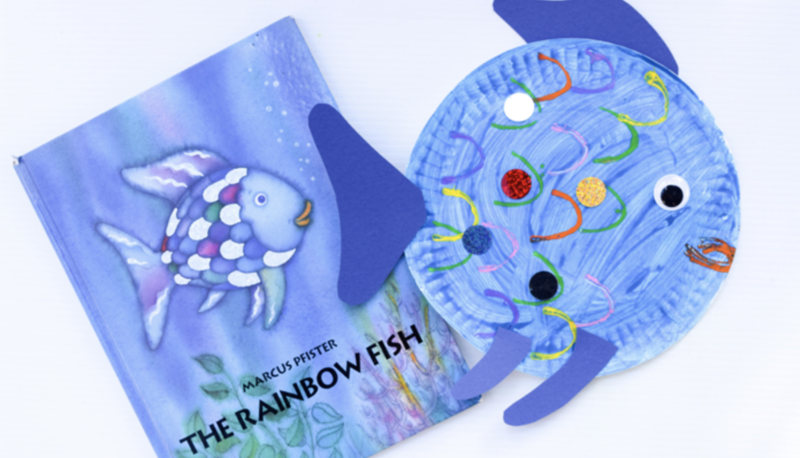 We are big fans of the rainbow fish book so we will definitely be making that guy this Summer.That’s one thing I love doing with the kids over break.Lots of crafts! Keeps them busy and me slightly saner,lol. Our favorite summer activities are crafts, as well as swimming at the pool or going to the beach! It gets really hot here! I like taking my daughters to the lake in the summer. My kids are teens so we just go to the beach when they actually want to spend time with me. I wish they were little again and do crafts again. We love going to 6 flags and Hershey park, as well as the beach during the summer. https://nurturestore.co.uk/foil-fish-craft-ocean-theme-preschool That’s the fish craft I want to do with my nephews. This summer my nephews and I will want to go to the zoo, and possibly some other places to learn and enjoy life. My sister just had a baby so she won’t be able to go for a little while. Hopefully she has a speedy recovery and can do well. my favorite summer activity is taking my kids to the park. those are cute fish crafts im partial to paint crafts with using hand or feet to create it. I love to go to the park with my family and friends and walk through there to get some sun. I like to visit the national and state parks in my regional area. Thanks for asking I hope you have a great summer. We like to make fairy gardens on the deck. We also like to paint rocks and lay them around for inspiration! My nieces and nephew love being out in the water, so we’re going to try and go swimming as much as possible. And visit our local water park too! 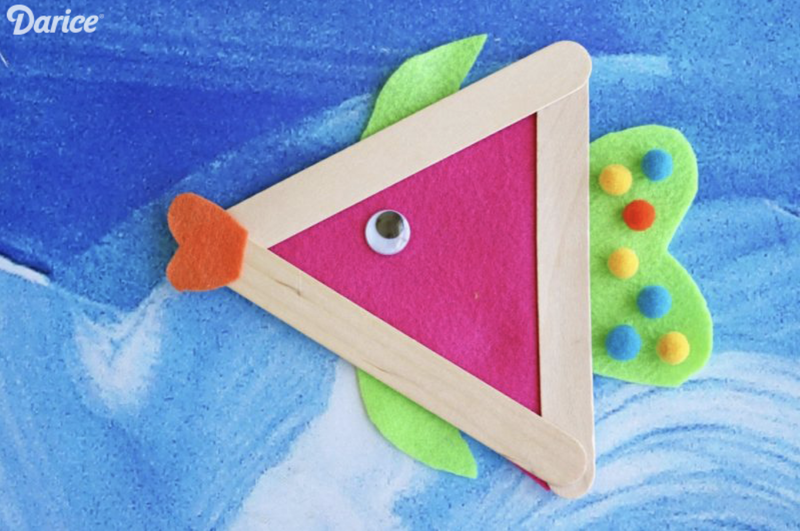 These fish crafts are so cute and colorful! The pasta fish are adorable! I think my niece and I would have so much fun making some of these. My boys love to camp and fish. They both play on select tournament baseball teams, so we are busy with tournaments all summer, also. I love the Rainbow fish craft. I work with toddlers and that would be a fun project. As for my daughter, we love to go swimming. I love those macaroni fish! So very cute! Thanks for sharing them and God Bless! My older daughters and i are going to make popsicles holders for our younger 2 kids, they always want to wrap them in a kitchen towel, we found some cute fun prints and we are going to sew and make little holders. We love going to the splash pad. Last year he was only 1 so he didn’t like water in his face and wasn’t quite sure about it until the end of the year. Looking forward to going this summer! I needed to make it 2-3 sentences and I forgot to. I like to swim, play, and camp with my kids. I love all those fish crafts. They are very cute. I like to swim, play and camp with my kids. Tropical Seashell Fish Craft via Crafts By Amanda is cute and perfect for a beach vacation. My favorite summer activities to do with my daughter is to travel to different cities each summer. This year, we want to go to LA. Thanks for the giveaway! My great grandchildren would love all these crafts. We go swimming when they are out for the summer, so the last day was yesterday, so we will be doing all sorts of things!!!!! We do a lot of camping during the summer. But we also do things like the summer reading program at the library, church activities and watching movies together. The Fish Crafts are awesome. My grandkids would love to make the Painted Fish Rock Craft. One thing my grandkids love to do in the summer in addition to crafts, they love to play in the water sprinklers. I do not have children but thoroughly enjoy taking my chihuahua to the dog park and visit with other friends. During the summer I love taking my son to the lake, camping, hiking, playing at the park and playing tennis. We are just starting to get nice weather so it’s exciting to be able to do fun things outdoors again. I love the pasta fish craft. It’s cute and super easy. It’s something I would totally do with my niece. I love all the crafts. We do alot of crafts in our preschool, and the children have always enjoyed any fish related craft. Using craft sticks and a variety of supplies you can find around the home is always fun to get the children to use their imagination. My kids are adults now, but when they were younger we enjoyed taking nature hikes. The fish crafts are very cute. 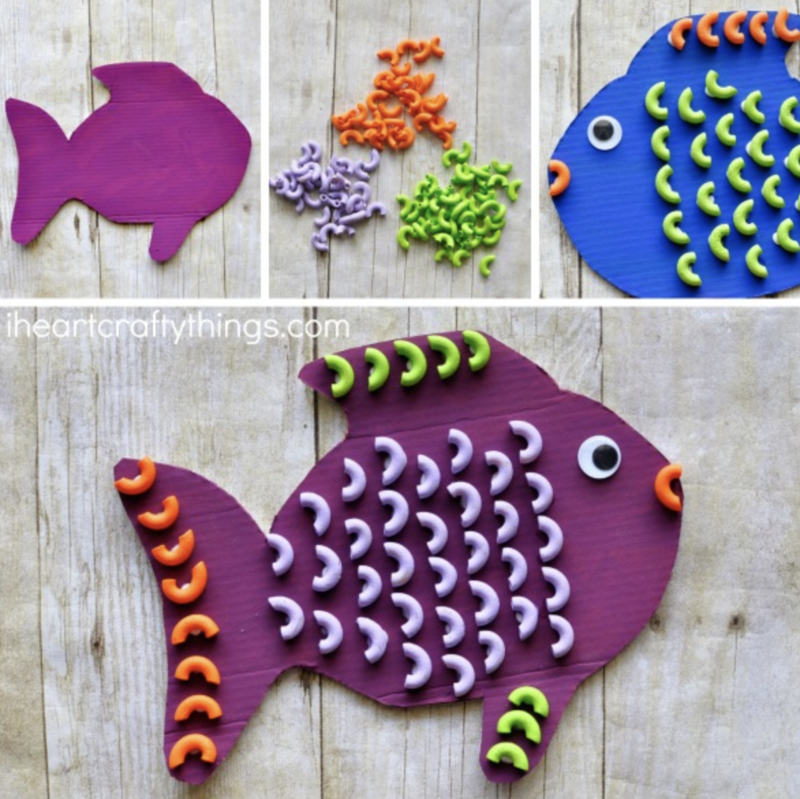 These fish crafts are super cute – I love the colors, especially in the pasta and cardboard one. I never realized how elbow macaroni looks like fish scales! These will be fun to keep in mind for a rainy day. Otherwise we try to get the kids outside! With the grand kids, I love to do things outside with them in the warm weather. We bought a tricycle and inchworm and also kids gardening tools. No kids. I’m looking forward to a trip to Santa Fe for the opera in July. I like the Craft Stick fish the best. It’s original and it’s also a great way to teach kids about recycling! Lately we have been decorating and hiding rocks for others to find. We also enjoy geocaching together. We like going to the coast for the cooler weather. I think my nieces would enjoy all the fish craft activities. We love to go to Major and Minor League baseball games with the kids and we will go to a few in both NY and MA. Also we will be going camping with some family in July and go to Cooperstown to the MLB hall of fame. In the summer I enjoy going to the lake with the grand kids. So much fun swimming & fishing! Long summer road trips with the kids are the best! We love to go hiking. Also fishing is something we all enjoy. A few times each summer we usually go to the beach. We also love bike riding with the kids on the bike trails! My favorite summer activity with my kids is going to the park! We do relaxing strolls along the coast. They also bike. I love riding our bikes together to the park! I love the crafts! We love going on bike rides in the summertime. Cool fish crafts! I went biking with the nephews on the summer days. These fish crafts are so cute! My kids would love to do it! I truly really like all of the fish crafts. They are cute and very clever. We love to take our kids swimming,camping, fishing and to water parks in the summer. One thing that we just got into this year is rock painting! We are having so much fun painting rocks, and leaving them for others to find! My kids and I like hiking and walking on the beach to collect supplies for our crafts. I love these fish ideas! On the hottest Summer days, we like to work on craft/art projects inside with the AC. I love going swimming with my kids and going to amusement parks. These crafts are really cute! I love doing crafts like these with my little cousins. So fun! These are great for kids who love fishing! Unfortunately I don’t have any kids yet. However I have a lot of younger cousins that I would love to make these cute fish with! We love to have a picnic in the backyard, The kids are so thrilled. Hanging out at the lake and having BBQ’s are some of our family’s favorite things to do. I love the fish crafts so cute. The thing our family loves to do the most in the summer is go to the beach — or even sit out by the pool on weekends! The fish are all cute! I like the popsicle stick fish. It seems like something I could handle. My kids and I enjoy walking in the woods in the summer. As a grandma, Inenjoy taking our kids to a petting zoo and out for ice cream. we love to go to the beach with the kids. We live in So Cal and have an endless array of beaches to visit. They used to take sand pails now its surfboards!!! I love planting flowers in the containers in the front yard and going to the pool. Taking walks and going out in the peddle boats on the lake. We love being outside in the summer. My children love hiking and rock climbing. We like to work in our garden. We grow cantaloupe, tomatoes, peppers, watermelon, strawberries, and squash. The fish crafts are very creative and colorful! The fish craft with the colored elbow macaroni is just too cute. My kids and I do lots of arts and crafts together and we would have fun doing any of these fish ones, especially the Paper Plate one from the Rainbow Fish. I LOVE doing arts and crafts! One of my favorites that you’ve shown us here is the Paper Plate Fish Craft Inspired by “the Rainbow Fish.” I think that it’s wonderful! My favorite things to do in the summer are to take family road trips. I think that your crafts are adorable. Unfortunately, I do not have any littles to do them with! I love these. My three year old daughter enjoys crafts at home and I need to do more with her during the day before she’s off to preschool soon. She also loves fish so we’ll be doing some of these over the next few weeks. Favorite summer activity is swimming. We also like to go hiking at the parks. So many cute fish craft ideas! My girls would love to make all of them, I’m sure! We love riding our bikes all together. I love the Foil Fish Craft: Ocean Theme for Preschool craft. It is easy enough for my nieces to create and fun for the entire family. I love that they get to use their creative brain! The fish crafts look so fun! I have a newborn, so haven’t made anything with her yet, but this looks great! We love to visit the splash pad with our son! I love taking my grandsons to the spray park . One of them loves everything about fish! Too bad he’s still a little too young for these crafts I am sure he would have a blast doing them! My kids are grown up. My favorite summer activities are gardening and going to the farmers market. The Rainbow Fish crafts look awesome! My kids love to bike ride before it gets to hot in the day, They also love to swim. Thank you for the ideas. I love to take my son fishing. He usually catches more than I do. Such an awesome craft I really love it and I am sure my kids will definitely enjoy doing this kind of craft. 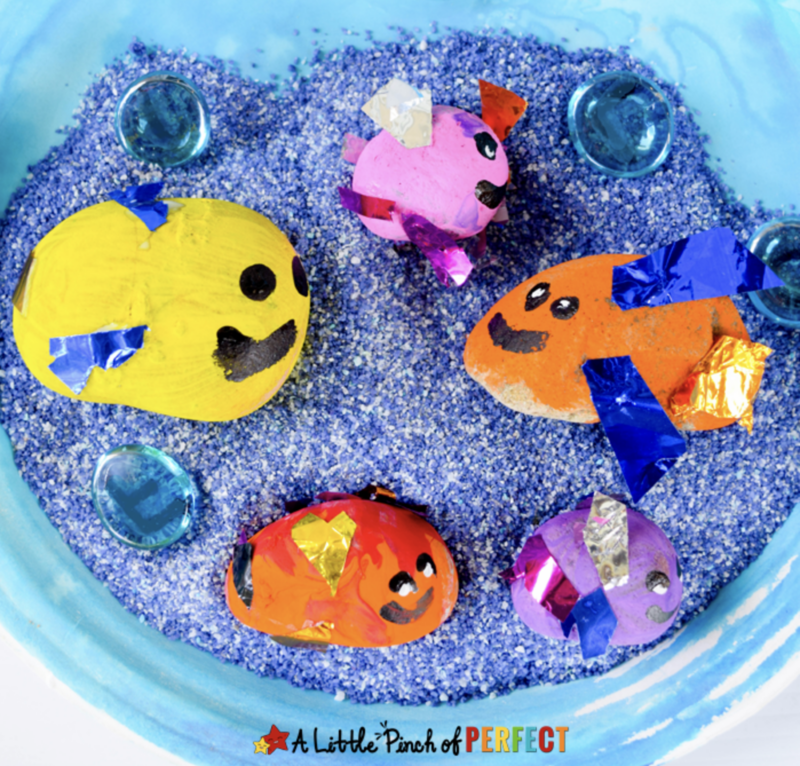 Such great ideas for crafting fishies…as my boys call fish. They are fish obsessed right now. Thanks for the inspiration! These are awesome crafts! It’s summer here and a lot of time to enjoy these crafts with my niece before she start school. I love to do crafts with my grandson. I especially like the macaroni fish, very cute. I also love to swim with my grandson! These are such great crafts to do with the kids! I actually just did the rainbow fish one with my daughters class! These are really cute and adorable! Lots of possibilities if you have creativity! Those are pretty awesome! I’m sure the kids will enjoy these fish crafts! And they’re just in time for the summer as well. 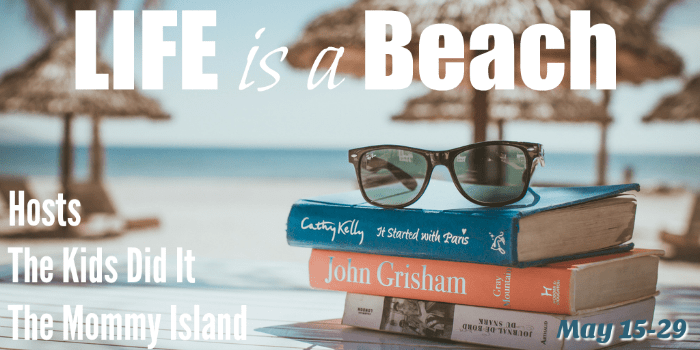 I love taking my kids to the beach or pool during the summer! We also love snuggling and enjoying movies and board games when it rains. i like taking my kids to the park in the summer. they have a program where they do crafts and games! Our favorite summer activities are anything where we can spend time outside. We like to go on nature walks. My kids also love to ride their bikes and go swimming. They are all adorable. My kids are older now, but they used to like to color with chalk on the sidewalk. 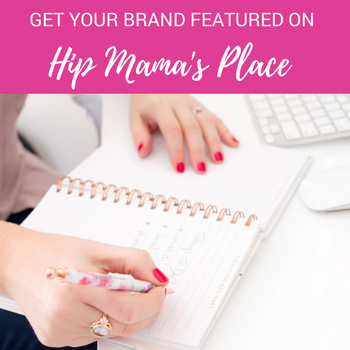 What a fun roundup! My girls were obsessed with Rainbow Fish when they were little and that plate craft would have been so fun for us to do together. Cute ideas! We love doing crafts, going to the park, the zoo, movies on a rainy day, and visiting friends and family! Thank you for the chance to win! I like to take walks in the park. The crafts are very cute! Those are such adorable fish crafts for kids. I miss little kid type crafting, now we are older and the kids’ idea of craft time consists of making and editing videos. I will have to try some of these with my niece! I am not picky. My daughter will be a junior in college this fall so anything I can do with her while she is home for the summer is good with me! We like to paint and play with clay. Collecting shells at the beach and making shell necklaces is fun, too. We like to go hiking at the local state parks, swim, bike and have campfires. The more we can do outside the better. Some of my favorite summer activities to do with my grandsons are playing tennis together and finding seashells on our annual family beach vacation! These are really cute! And I love Amazon so perfect giveaway! My favorite activity to do with my kids in the summer is to go fishing! My kids can fish for hours and it is a very relaxing activity. I love the fish crafts they will be perfect to make on a rainy day. We go to the beach and to the park. We like going to the beach, swimming in our pool and playing in the park. Thank you for the giveaway! These are all such cute craft ideas! We spend so much time at the pool during the summer, that my kids are practically little fish themselves. We love to go biking and swimming. 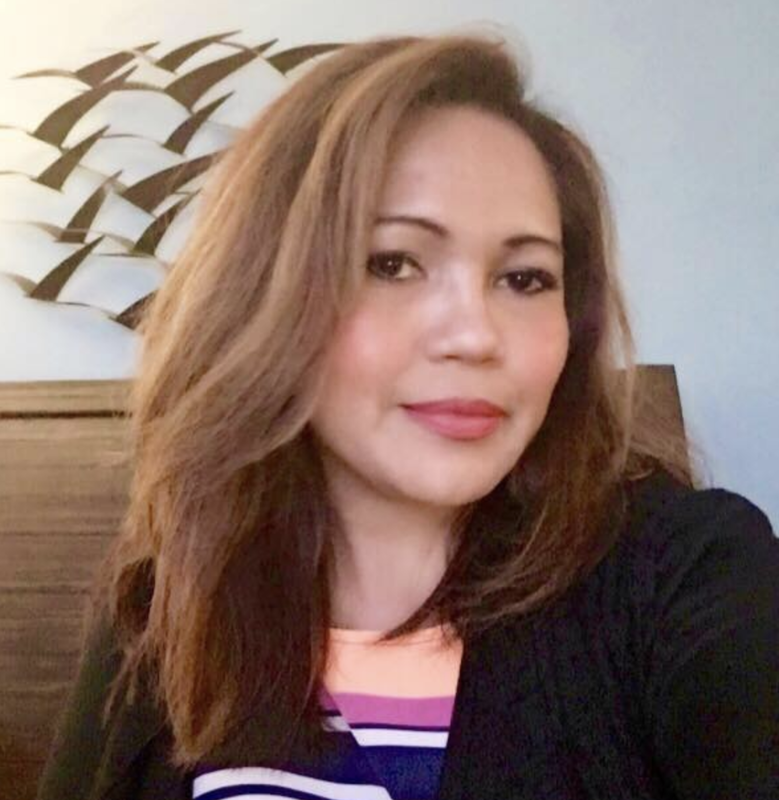 I enjoy a family day at the beach or going hiking on the trail. I also like to garden in my big yard. It’s always fun to enjoy the weather near the water as well. I enjoy going to the park. I also enjoy going for bike rides. I love the one with the painted pasta! So cute! These would be fun to get your kids excited for a beach vacation. I used to love going to the beach with my sons when they were younger. They loved it and we had a lot of fun times. I like the fish crafts! They’re fun. Sweet fish crafts. I like how easy they are and very colorful too. I really like your Painted Rock Fish Craft! My kids have just gotten into rock painting and they enjoy leaving them at our favorite parks for others to find! We enjoy doing just about anything outside when the weather is nice. This year we are going to be doing some tye die and lots of messy art projects! This is a cute craft! The water bottle Fish Craft looks adorable and so colorful! We love going tot he lake. These crafts look like fun. I really like these craft ideas! I can see recommending these to local teachers for their classroom. These crafts look really fun! My son is too young for these so we’ve been staying at home this summer since he cries too much when we go out. I like the rainbow fish craft. Also the painting fish rock. These are really adorable!! Okay this really are super creative!! These crafts would be enjoyable to do with our kids. They like doing them, especially when it’s a rainy day, and we can’t go outside. I love all of the fish crafts on this blog, they are so cute. Those are cute ideas. I love the one that uses popsicle sticks. Totally adorable. Oh so many cute ones. We have been doing a lot of crafting lately and I know my kids would love to make up some fishies for themselves! These are some really cute ideas. I think they would be fun summer crafts for kids! 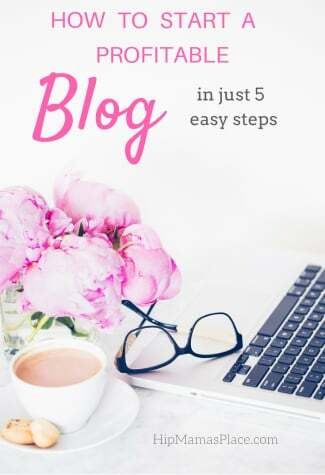 There’s a lot of cute and easy ideas here! That might be a fun thing to do with my nephew and niece who are the perfect age to do these kinds of crafts. I used to love doing crafts with my boys when they were little. Now they are outgrown that age, so I do them with my young nieces when I see them.